This is a story that starts in the vain of a good old fashioned 1st Doctor Vibe. The crew gets separated from the Tardis and seek shelter in a local Uni where strange happenings are afoot. That story alone would be great. But what they do here with two hours of story is to tell that tale, but then go somewhere else weird and wonderful with it. It seems the current run of Early Adventures is having a lot of fun with the twists and I’m greatly enjoying them. This story by Robert Khan and Tom Salinsky is a fine example. 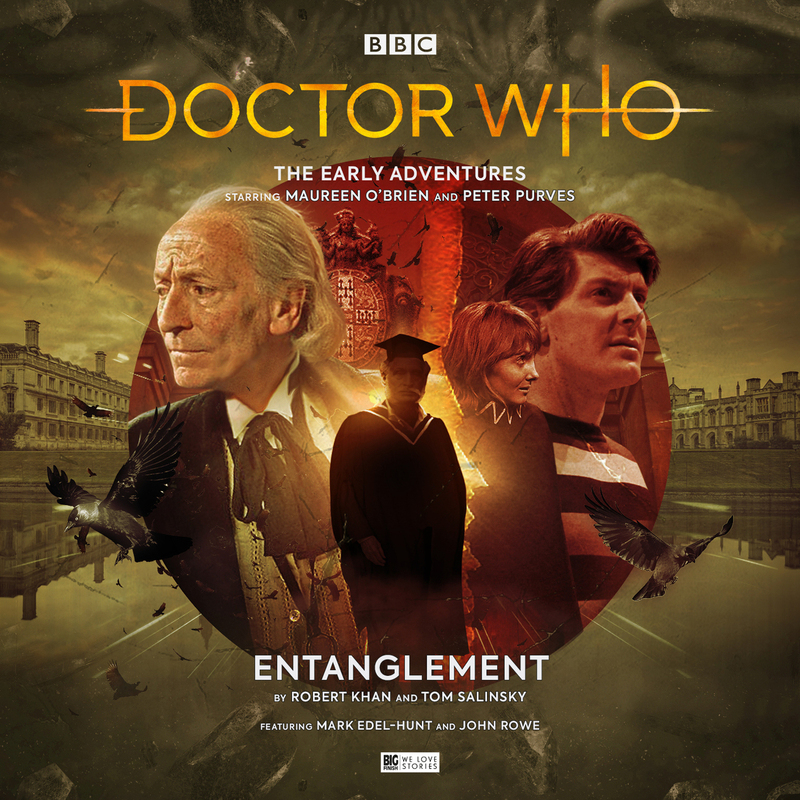 Narrators Maureen O’Brien & Peter Purves bring to life wonderfully the story and as always add great depth, which is assisted by the story itself. Both whilst doing the voices for their original parts and with Purves doing the Doctor at the same time, as we find out from the extras with a strained throat. I know they do this in all of this range, but it deserves not to be taken for granted. The guest cast are wonderful and throughout there are some wonderful illusions to A certain literary great, which I won’t spoil, but see if you can get it before they mention it in the extras! Direction by Lisa Bowerman keeps the pace really well that is layered into the script.